The Brooklyn Nine-Nine star has met with police. E! 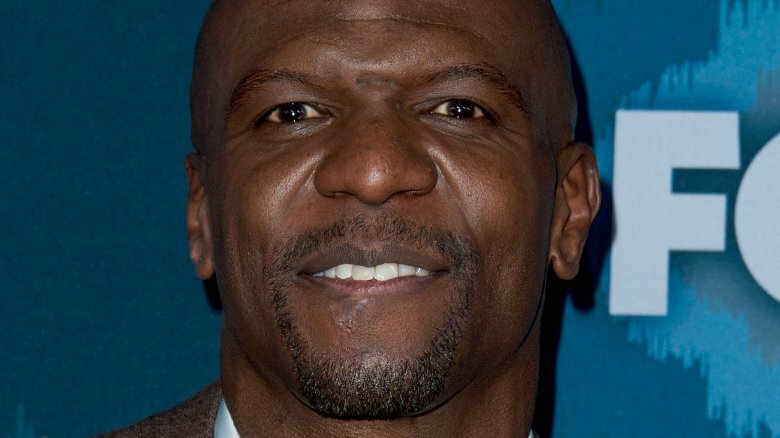 News reports that Terry Crews filed a report with the Los Angeles Police Department regarding his alleged sexual assault on Wednesday, Nov. 8, 2017. "LAPD can confirm Terry Crews [met] with officers from the LAPD Hollywood station," a rep told E! News. "As of now, we have not been advised of what the meeting entailed. We will provide any additional information on this matter as soon as it becomes available." According to TMZ, Crews, 49, is looking to press criminal charges against the man who allegedly assaulted him and will be filing a lawsuit. When asked by the gossip rag's photographer why he filed the report, Crews responded, "Because people have to be held accountable." NBC News' sources indicate that Crews named William Morris Endeavor talent agent Adam Venit as his alleged attacker. Crews is a client of WME. Crews' decision to report his alleged assault comes weeks after he tweeted out that a "high level Hollywood executive" had groped him a year earlier, grabbing his gentials. "Jumping back I said What are you doing?! My wife saw everything n we looked at him like he was crazy," he wrote at the time. "He just grinned like a jerk." While Crews was tempted to fight the man, he said that he thought twice about it. "'240 lbs. Black Man stomps out Hollywood Honcho' would be the headline the next day," he noted. Instead, Crews said he let it go and left the event. He revealed that he contacted the man's colleagues the next day and received an apology but "decided not 2 take it further becuz I didn't want 2b ostracized — par 4 the course when the predator has power n influence." Crews' admission was sparked by the accusations of sexual misconduct that hit disgraced Hollywood producer Harvey Weinstein in early October. Since then, other men like Kevin Spacey, James Toback, and Brett Ratner have been accused of similar disturbing behavior.